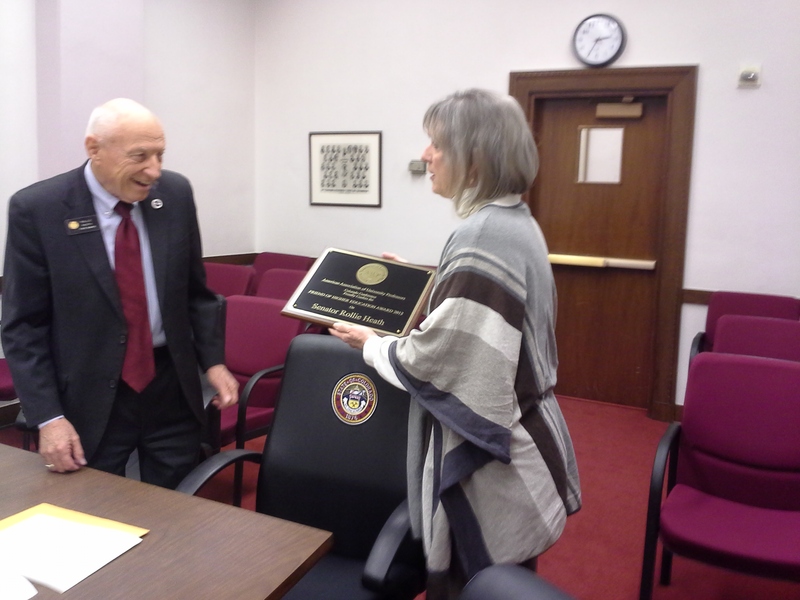 Members of the AAUP from the University of Colorado and Front Range Community College met with Senator Rollie Heath on February 28 for two purposes: (1) to present Senator Heath with the AAUP’s Friends of Higher Education Award and (2) to talk with him about HB14-1154, the Community College Pay and Benefits Equity Act of 2014. Senator Heath received his award most graciously. He also listened to the AAUP members’ concerns about the low pay and lack of benefits awarded to adjunct faculty at the community colleges. Senator Heath expressed concern about the working conditions of adjunct faculty and promised to study the issues and keep an open mind about the bill. ← More on Fort Lewis.